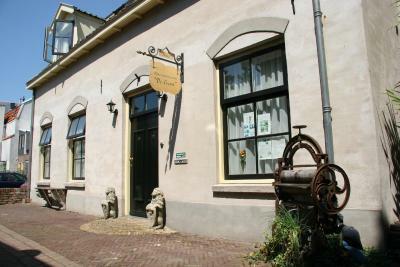 Lock in a great price for Hotel Hanzestadslogement De Leeuw – rated 8.6 by recent guests! amazingly accommodating hostess, spotless house, fantastic location, breakfast is delicious, best place we’ve stayed in. Family friendly. A jewel. Having visited this hotel before I knew what to expect = got different room but facilities same. Good value for money breakfast ideal continental could not fault it. My daughter thought it was lovely as it was her first visit here. Very central in Deventer. Lovely owner who has an excellent way with people. She gives her customers little treats from the Sweet Store connected to the Hotel. You feel like an appreciated guest. Delightful. Breakfast (included in the price) was excellent... coffee...extremely good. 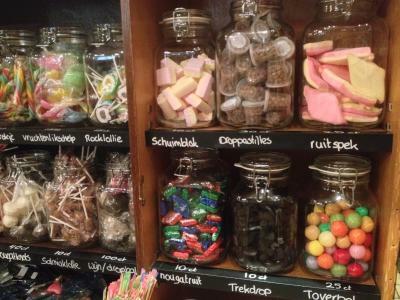 The sweet shop connected to the Hotel has a feeling of being a" living museum", a little like the shops which are part of The Zuider Zee Museum at Einkhausen, which in our opinion is about the best museum we have visited. 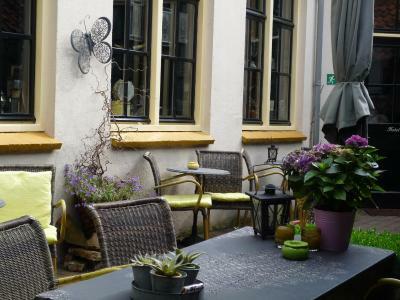 Very nice and cosy hotel right in the center of Deventer. Friendly staff, clean rooms and a decent breakfast. It feels like you stay in a museum. 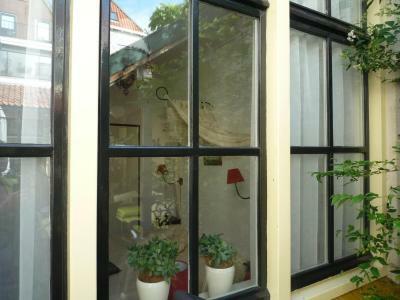 Hotel Hanzestadslogement De Leeuw This rating is a reflection of how the property compares to the industry standard when it comes to price, facilities and services available. It's based on a self-evaluation by the property. Use this rating to help choose your stay! All the rooms are furnished differently. Every room is named after a Hanseatic city. 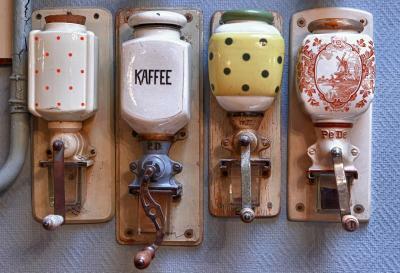 All rooms have a kitchenette and coffee/tea making facilities. When you enter the hotel, the atmosphere reminds you of grandmother’s days. 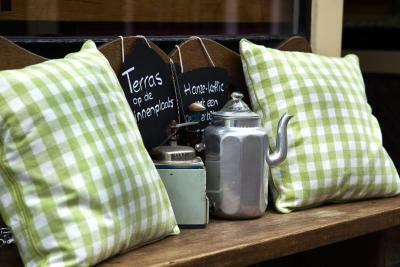 Also during your stay, you will enjoy this warm hospitality. 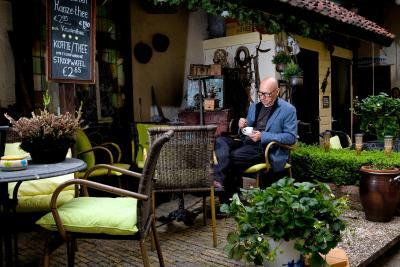 It's a cozy and small hotel with a tea and coffee house. 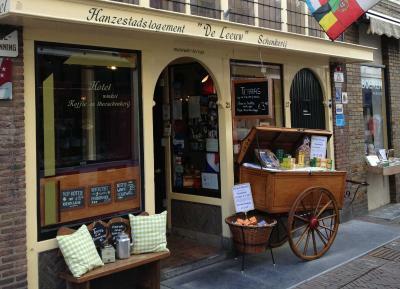 The hotel also sells traditional trading products and there is a Hanzemuseum. 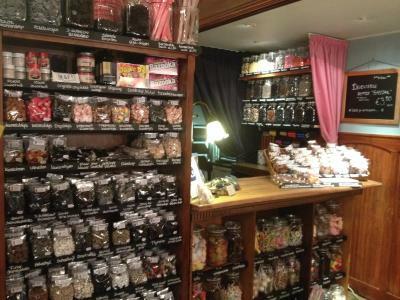 There is also an old Dutch sweetshop which is definitely worth a visit! 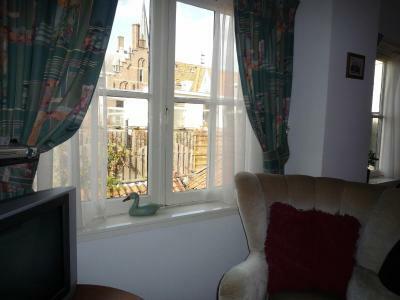 When would you like to stay at Hotel Hanzestadslogement De Leeuw? 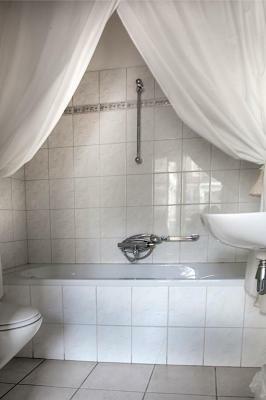 A room with a private bathroom featuring a shower. 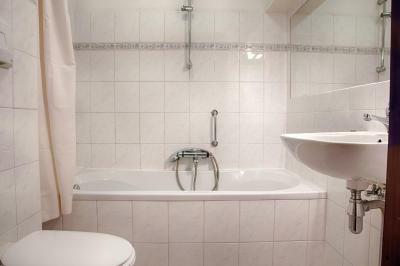 This room has a private bathroom featuring a bathtub. Includes a kitchenette and a seating corner. This room is equipped with a large double bed. 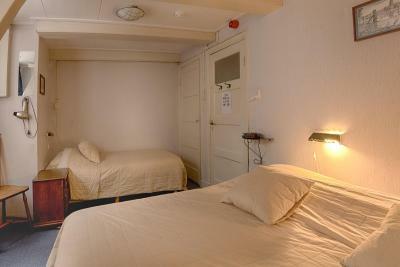 A 3rd bed can be placed in the room at an additional EUR 23 per night. The apartment has a living room with a sitting and a dining area, one bedroom for 2 people and one bedroom for 3 people. For the 6th person, an extra bed will be placed in the room. 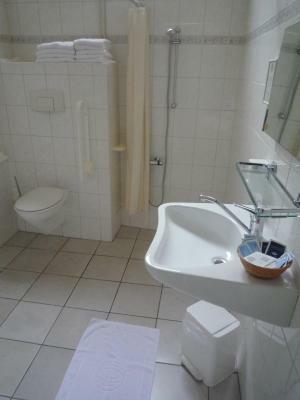 This double room features a electric kettle, cable TV and washbasin. Please note that the private bathroom is located at a lower floor, in the hallway downstairs. Coffee/tea facilities for 2 guests are available in the room. Please note that this room is less suitable for guests with limited mobility. 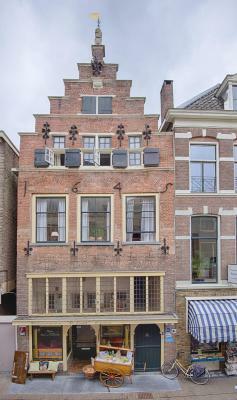 House Rules Hotel Hanzestadslogement De Leeuw takes special requests – add in the next step! ATM card Debit card Hotel Hanzestadslogement De Leeuw accepts these cards and reserves the right to temporarily hold an amount prior to arrival. Hotel Hanzestadslogement De Leeuw accepts these cards and reserves the right to temporarily hold an amount prior to arrival. Please note that other pets than dogs are not allowed. Please note that guests must contact the property directly as soon as possible if they plan to arrive outside of the stated check-in times or on Sundays, Mondays or Public Holidays. Contact details appear on the Booking Confirmation issued by this site. You will receive a personal code from the hotel with which you can enter the property. 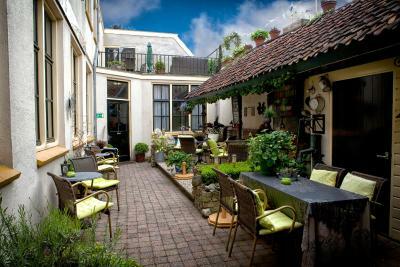 Do not think you could improve as it is a quirky hotel and if that is what you are looking for cannot fault it. Only problem is parking as we travelled by car from U.K. Was lucky we were visiting family and could park outside their home but had to walk from there to hotel with suitcase. Room was a little small. Ours had lots of things in it, which made it feel different to most hotels. Our room was on the ground level and cars were parked directly outside (note, we did not have a car). My room was a bit cramped, due to all the stuff they had in it. However, the bathroom had no space problem. Biggest issue is that the reception closes at 1700, and you have to let yourself in the building through the back door after that. And there's a little trick to getting that door unlocked. It's simple once you understand, but I had to learn it from a fellow guest after standing outside several minutes. So practice unlocking the back door prior to 1700, while the front door is still open. I found the hotel's "boutique" style merely interesting. But for people who are really into that, it should make for a highly enjoyable stay. The room was quiet, and the bed very comfortable. Our room was cramped and old. Bathroom was one flight down. 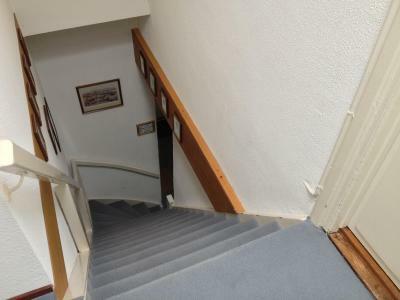 The stairs we had to use were not private since they ware also the emergency route for other rooms. Clearly not ideal. The bathroom itself was a huge bare space with a highly uncomfortably high toilet seat. Although the room and bathroom were clean, the costs of EUR 90,-- for a night I feel are way to high for the services provided. 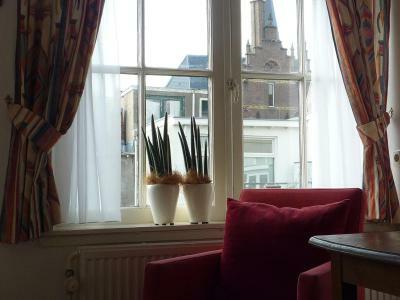 Hotel in the historic centre, behind classic sweets shop. Nice staff. 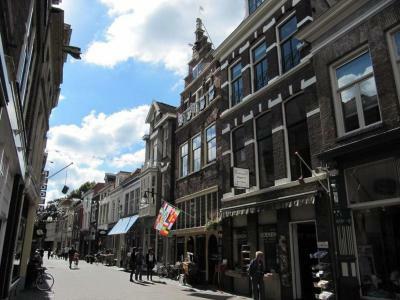 The town Deventer proved to be a nice place to visit. 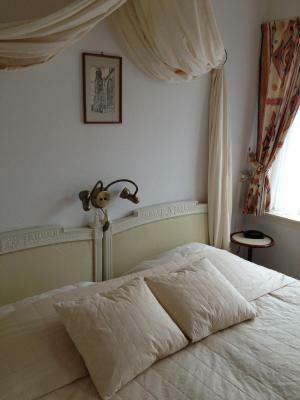 The was a classic style basic hotel room which is appropriate for a historic building. It was perfectly fine for my stay but might disappoint someone looking for modern furnishings. 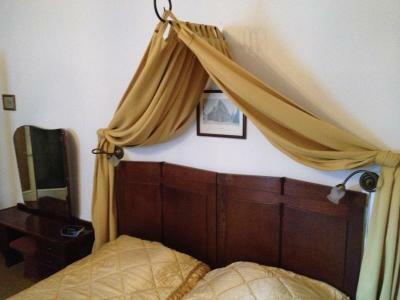 Comfortable bed in a historic building in a central location. Parking is not at the property but a parking garage is in easy walking distance. 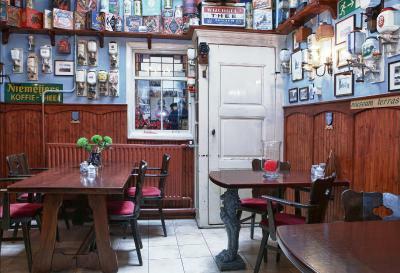 The breakfast was good and set in an interesting café. The staff are very friendly. Price was very good. Stairs bit steep like climbing a hill, not good for us older people. But we managed. Bed bit soft but clean and room clean and tidy. Breakfast excellent such a choice of cereals, breads and meat would highly recommend it to others. Location excellent to. Really enjoyed our time there and would come back again hopefully soon. Extremely friendly owner who makes you feel at home immediately and beautiful setting. 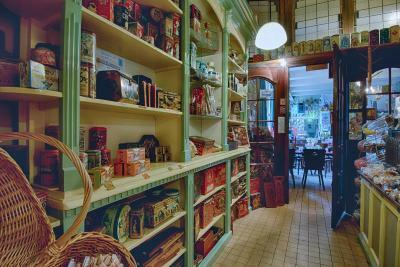 What can be better than a generous breakfast in an old bakery and candystore.